Donate $10, get a free tote! 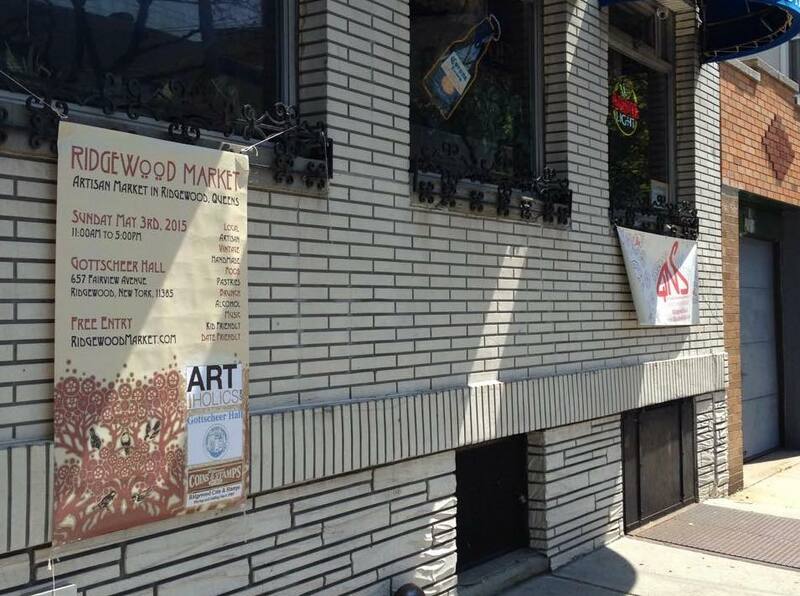 As you may know, Ridgewood Market is now five years-old. 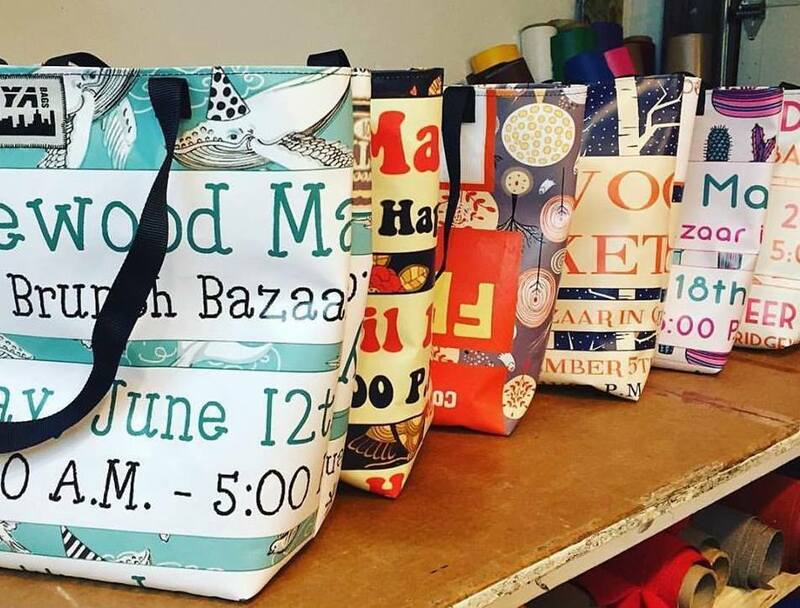 Sarah Feldman started the artisan market when she was only 24 years-old. She will be 30 this year. Her goal was always to create a community-driven market with 40 unique vendors, affordable products, and prices vendors could afford to participate. The monthly market gets 400-800 customers at each event. And it is located in the middle of Ridgewood, Queens inside the historic beer hall, Gottscheer Hall. The upcoming market was supposed to celebrate it's 5 year anniversary on April 21st, 2018. An estimated 800 people were supposed to show up, shop, drink, and schmooze. Sarah was really looking forward to this one especially since she had put so much of her energy into making this anniversary market as epic ever. There would have been balloon animals being made on the spot, a contest with prizes, music, a food collective. One of the coolest item of the night was free 250 limited-edition tote bags with a throwback logo for the Ridgewood Market from 2013. She was personally going to hand them out as free gifts to the first 250 customers. However, the night before, she walked to Gottscheer Hall to drop off some items for the market the next day. Then the wind was knocked out of her as she reached the venue. The tables for the vendors were set up and everything. To her dismay, she discovered the hall was having a sudden emergency that caused it to be closed for an unknown amount of days. Devastated, she had no option, but to do some damage control, contact everyone, and refund all her vendors that night. So from 6 til Midnight on Friday, she wiped away tears and told everyone that the event she has looked forward to for years was gone, canceled, and caput. One by one, each of her vendors were paid back that night for their market space fees. Well, with the sudden cancellation of the market including refunding all the vendors, Sarah has lost a lot of funds. In fact, she lost thousands by canceling this market. Costs for postcards, posters, banners, advertising, hours worked, and more, all gone. Sarah knows people have brought up other options to get the money back, but for now some crowdfunding would help move things along, and she can figure out the next steps. - Purchase an official banner from one of our past markets. 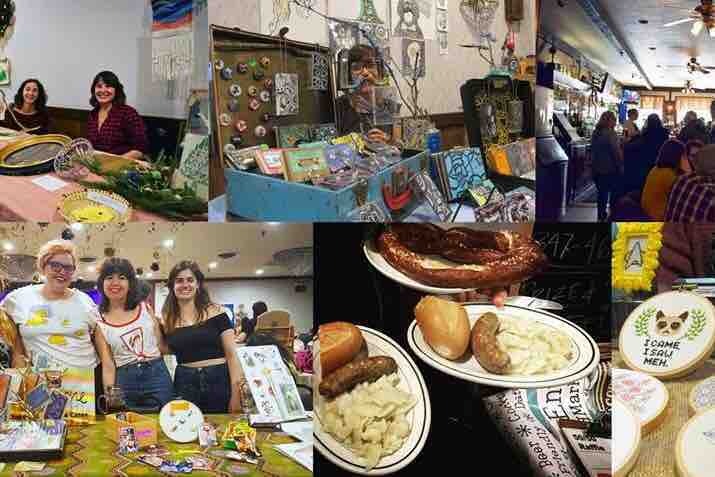 Since 2013 the Ridgewood Market has curated over 40 creative vendors in the historic ballroom of Gottscheer Hall. Customers can purchase local, artisan, and vintage gifts. There is even food, canned goods, and pastries. You can even order a beer, cocktails, and German food in the in the German beer hall. There is always free entry. The award-winning market has been featured in New York Magazine, New York Times, Time Out NY, and many other news sources. Since it's been five years at Gottscheer Hall, vendors and staff have become friends, and people's lives and businesses have grown together. Please note. This is not a fundraiser to help raise funds for future markets. This is a fundraiser to help raise funds for thousands of dollars lost for the market that was supposed to happen on Saturday night, April 21st. Kindly be aware that shipping times may vary as 250 bags are a lot of bags to ship for one Sarah. They will be sent as soon as possible in the order the donations are recevived. Thank so much for your support. It was truly unexpected. Sadly since I am doing so much of this on my own, I don't have a lot of free time to send out the most epic thank you ever. You made a very stressful week, last week, easier to deal with. Just know every time I received a notification in my inbox, my heart became more hopeful that the future will not be as scary for me. I truly feel loved. Thank you friends, family, and strangers. When I see you, you shall be hugged. I will be sending out donation gifts shortly. A thank you note from Sarah and a postcard from one of our past markets will be mailed to you. A thank you note from Sarah, a poster, and postcard from one of our past markets will be mailed to you. 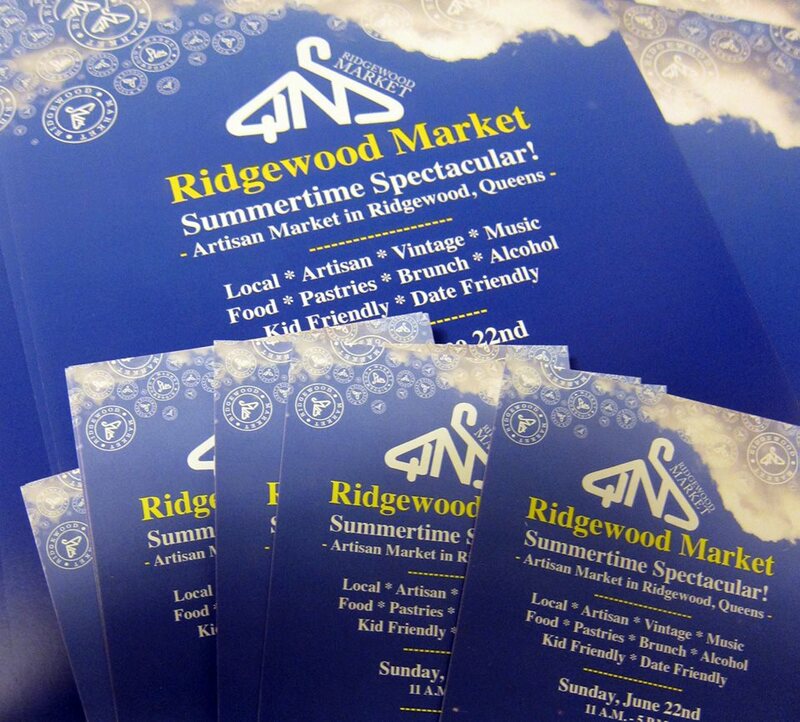 A limited-edition tote bag with a throwback logo for the Ridgewood Market from 2013. Purchase an official banner from one of our past markets. 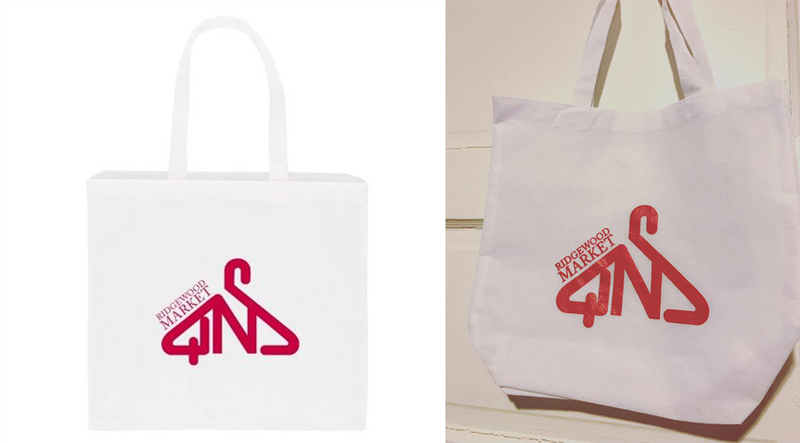 Limited edition, heavy duty tote made out of a past vinyl banner.